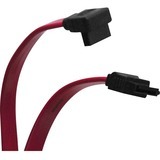 Tripp Lite Serial ATA (SATA) Right Angle Signal Cable (7Pin/7Pin-Up) 12-in. 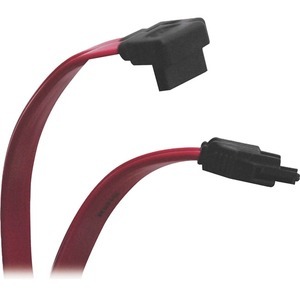 Tripp Lite's signal cables connect any high speed Serial ATA (SATA) device to a Serial ATA (SATA) controller. 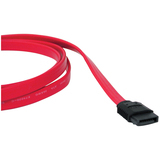 SATA delivers two significant benefits: it support much higher data transfer rates (up to 6.0 Gbps...backward compatible to 1.5Gbps), and the narrow cable design helps improve internal air flow. Perfect for the desktop or server that has multiple drives. 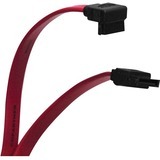 These cables feature 7-pin straight/7-pin right-angle up connectors and offer easy installation. 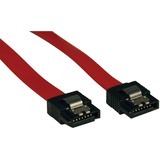 Serial ATA (SATA) Right Angle Signal Cable (7Pin/7Pin-Up) 12-in.